Laughter is a universal language. It brings communities and individuals together. World Laughter Master Belachew Girma calls it a ‘diplomacy pass key’. Simply because our physiology changes when we laugh, it improves our health and happiness and lowers our stress levels. Would you like more laughter in your life? Join in our workshops and events! Laughter programmes and activities for health, happiness, team building, coping strategies, stronger communities and fun! 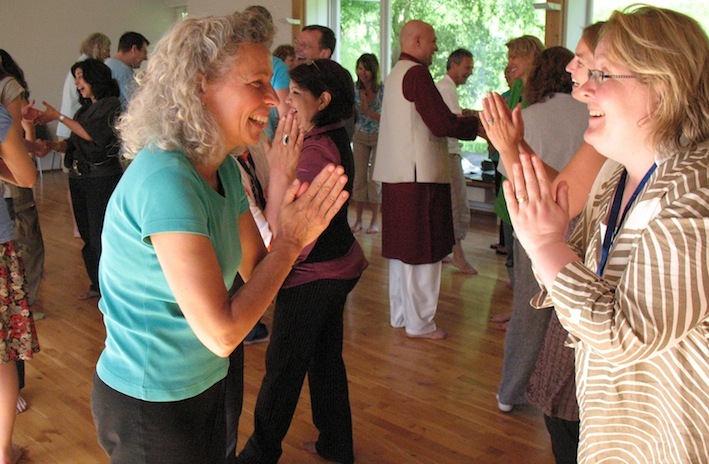 We have set up the Laughter Yoga School Manchester and Central UK to offer a range of training and workshops based on therapeutic laughter, play, joyful workplaces, gibberish and Laughter Yoga. Email us today or call +44 (0) 7930 570140 to find out what we can do for you, your community and your organisation. Let's change this world with laughter! For 2019, we have teamed up with We Stand Together for our Laughter Championships, and have events throughout the year to celebrate laughter. The 8th UK National Laughter Championships will be at the Comedy Store Manchester on Sunday 22nd September 2019. We run Laughter Yoga Leader Training, Laughter Facilitation Skills, Laughter Icebreaker training, and programmes for all parts of our communities and businesses. Contact us and see how we can help you! 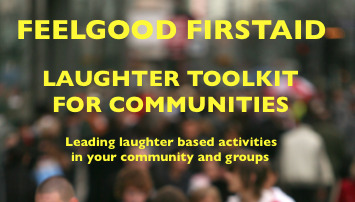 Funded by the National Lottery Awards For All program, we have created a toolkit to help communities to lead their own laughter based activities. We plan to create a set of toolkits for different types of organisation. Essential Guidance Notes Before Starting. Overview of Icebreakers and Group Sessions. Benefits of laughter for groups. For examples of some of the activities and some other resources you can check out our YouTube channel. Email or call today on 07930 570 140 to find out how we can help you. This toolkit has been created by Robin Graham for Feelgood Communities CIC. © Robin Graham October 2018. The contents cannot be copied or reproduced without permission from the author. Please also read the disclaimer in the Resources section. Thank you.